Companies operating in the global cosmetics and toiletries industry must compete for shelf space in retail outlets, not only with rival personal care companies offering other well-known brands but also cheaper copycat brands offering similar unbranded products. The advantage of larger companies is that they can afford more extensive promotional campaigns to establish brand loyalty. Emerging nations represent huge potential for international companies, offering better quality products than locally produced goods to populations with rising income levels. Multinational companies have begun establishing a strong foothold in countries such as Russia, India, and China. Rising income means that consumers are more concerned with product effectiveness and ingredients used than cheap products. Manufacturers are therefore focused on advertising their products as superior to those of rival companies, rather than systematically seeking to undercut market prices. Distribution channels are changing in that cosmetic brands are available not only in retail outlets like department stores but also through internet purchasing, television infomercials, home shopping, airport vending machines and in spas. Market segments exhibiting strong potential include men’s care, products for specific ethnic groups and dermatological skin care. Companies invest in research and development and promotional campaigns to boost return from specific market niches with good growth potential. In the world make-up market, face make-up represented the largest market segment generating sales of over $12 billion, or around one-third of the overall market. In the world hair care market, Shampoo represents the fastest-growing segment. In the world bath and shower product market, shower products represent the fastest-growing market segment, with revenue exceeding $7.5 billion, or 70% of the overall market. The US cosmetics and toiletries market began to rebound in 2010 after a few years of slower growth due to the economic recession. According to Packaged Facts, the US natural and organic makeup, hair care, and skin care market is predicted to hit the $11 billion mark in 2016. China’s cosmetics and toiletries (including the fragrance business) market is led by skin care. International companies such as L’Oreal continue to lead the market. Companies are obliged to adhere to regulations and standards set by the State Food & Drugs Administration to protect consumers. 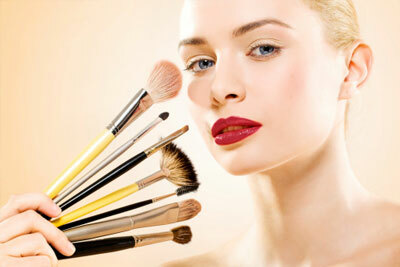 Factors fuellingIndia’s cosmetics market growth include increasing purchasing power and consumer awareness. Online retailing and product specialization are growing the consumer base. Leading Australian cosmetics products include hair removal, hair care, body care, sun protection and dermatologist product lines. The region is also a large producer of organic and natural products. Over the years to come, the cosmetics and toiletry industry is predicted to record gains across the board, with particularly strong growth expected for sun protection, oral care, and anti-aging products as consumers become increasingly aware of the dangers of sun exposure and more concerned with preserving a youthful appearance. As consumers become increasingly wary of potential toxicity in cosmetics and toiletries, market segments offering fragrance-free products made using natural ingredients and essential oils are likely to record strong growth. According to Packaged Facts, companies will focus on packaging to afford their products a more sophisticated appearance.